A reminder that our lunch this month is on Thursday 18 April at the Henderson RSA. A welcome is extended to all members, partners and friends to attend the HMNZS Philomel Memorial Wall Service. You will be required to be on Base by 0715. Be warned that there is heightened security and you will need a photo ID to enter the Base. 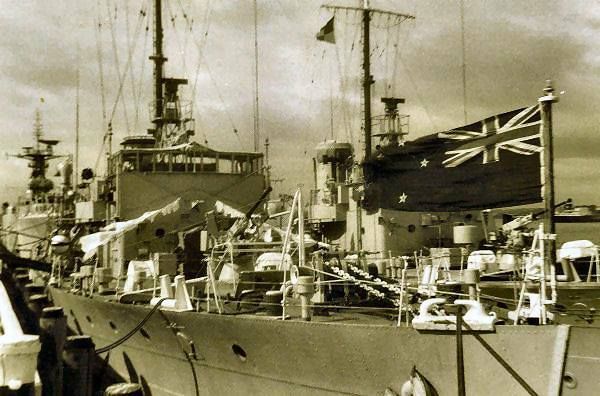 A major upgrade is planned for the Navy Museum at Torpedo Bay in Devonport. The Mine Store, which is directly ahead of you and to the left of the main building, as you pass through the main gate is about to get a major face-lift. I visited the Museum last week and found that the three rooms, which make up the Mine Store, have been left virtually untouched for nearly thirty years. I was the Boats Officer when the Navy closed the Boatyard in the early 1990s. The master plan is to upgrade the Mine Store to house a ‘Contemporary Navy Gallery’ a ‘Torpedo Bay Gallery’ and classroom and activity space. The Mine Store is physically separated from the main Museum building and a new secure covered way is planned, not only to improve access to the Mine Store but to also house the Wasp Helicopter. The work required to make the Mine Store safe, halt ongoing deterioration, upgrade the structural integrity and to make the building legally compliant for safe occupation is estimated at $791,000. The total cost to complete the restoration, the covered way and open the area for display is estimated at $2,804,147. The NZDF has committed to funding the upgrade of the Mine Store while the responsibility for raising the remaining funding rests with the Trust Board. 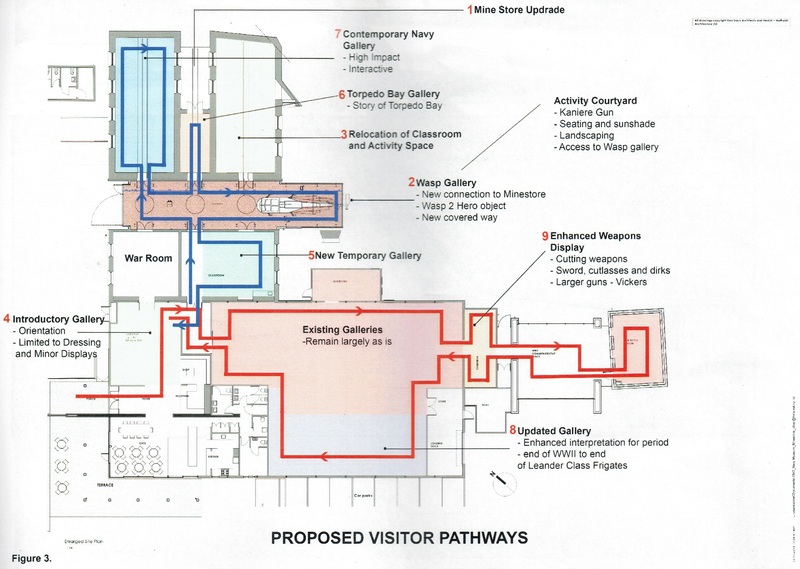 The planned works will increase the existing gallery space by 257m2, 55% over the current area. The addition of the Contemporary Gallery will focus on the period from the introduction of the Project Protector vessels. The gallery in the main building will be enhanced to cover the period post-WWll through to the end of the Leander Class Frigates. This will close a significant gap in the Museum exhibition and storyline. This is an exciting addition to what is a world-class Navy cultural and heritage institution. The Royal New Zealand Navy’s new diving and hydrographic support vessel has started her journey from Norway to Auckland, New Zealand. Formerly known as offshore support vessel MV EDDA FONN, the vessel was sold by Norway’s Østensjø Rederi to the New Zealand Navy in August 2018. The vessel was modified for Navy needs and was repainted from a bright yellow to navy grey. EDDA FONN completed sea trials earlier this month before sailing to her new home. Once in New Zealand, the vessel will be commissioned as HMNZS MANAWANUI and will undergo final modifications before entering service by November 2019. Growing up I watched my mother ‘slaving’ at the washing tub doing the family washing not knowing that one day I would be doing exactly that. From the very first day on Motuihe Island we were introduced to the scrubbing hardboard, ‘pussers hard,’ a hand scrubbing brush and the mark 1 concrete tub. Most things on the island were done manually from pulling boats, knots, physical training, drills and of course taking personal care of ourselves. Every item of kit from our blankets to our white lanyards had to be hand washed, even stripping our hammocks and scrubbing them clean every week was time-consuming and required physical effort. In time we became disciplined and into a routine that would last a lifetime. This prepared us for when we went to sea where we had a galvanised/plastic bucket, soap powder/pussers hard or, if you were creative you obtained a small can (ex-baked beans) stuck small round holes in the bottom, placed a cake of sunlight, made a wire handle and “Bobs your uncle” you had the perfect washing machine. ‘Make and Mend” was precisely what it meant, to make and mend parts of your kit, NOT to have half a day and go ashore. “Air bedding” was carried out once a fortnight or weather permitting, you simply lashed your hammock and bedding over an upper-deck guardrail to acquire fresh air for the day. Whilst in Auckland or around NZ you never had the luxury of “Dhobi Wallers” onboard, you did it all by hand. In the Far East, you certainly had that luxury, however, many of the “old school” matelots continued to do their own, and still do to this very day. It was a time that most will never forget, a time when we did most things manually and although they were hard times, we learnt that doing things for oneself gave you so much more satisfaction. I bet that many of our generations still do most of these tasks to this day. OUR SHIPS UPPER-DECKS WERE ALWAYS ‘SWAMPED’ WITH DHOBI LINES AND WASHING. On 9 April 1942, Morewa was commissioned as a tender to Philomel for duty as a survey yacht for the controlled mining service. She was fitted with an echo sounder and a Bren gun, and began work at Whangaroa and worked south, charting depths and tidal streams in preparation for laying defensive minefields. 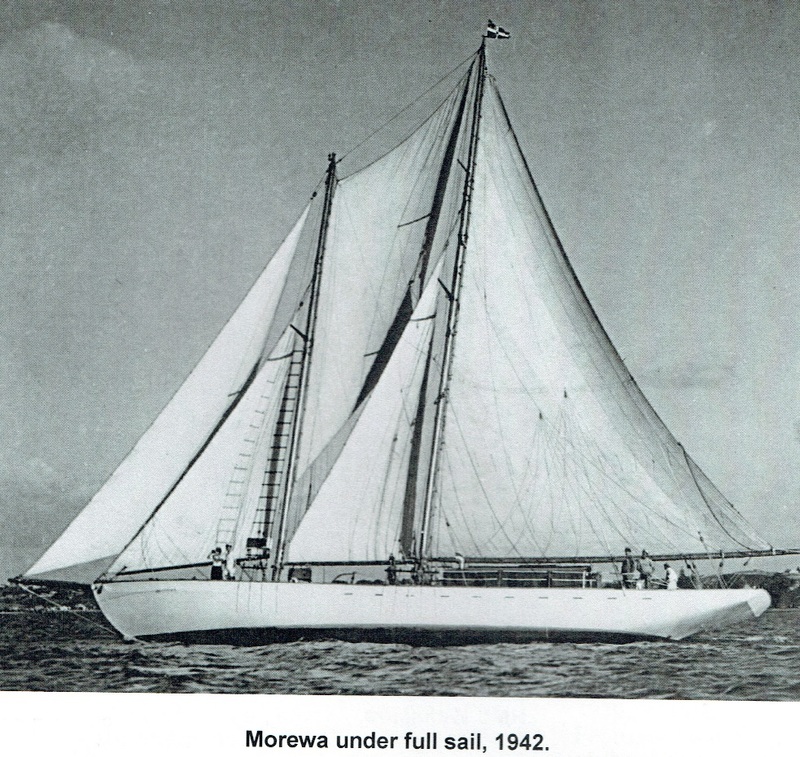 Morewa was owned by Sir Ernest Davis, a New Zealand businessman, and was Mayor of Auckland City from 1935 to 1941.